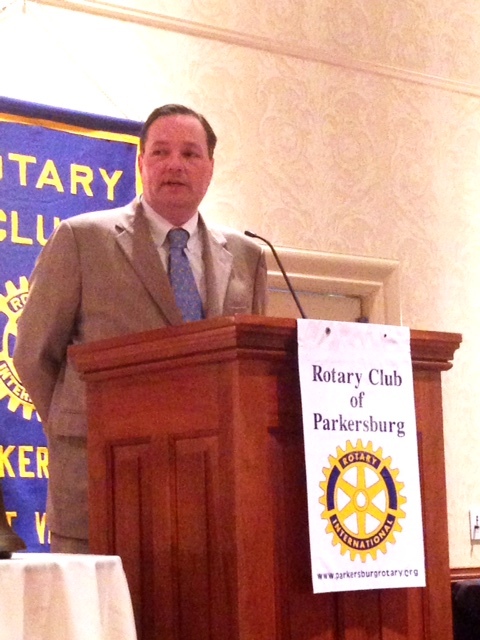 Wood Co. Commission President, Blair Couch spoke to the Parkersburg Rotary Club at the March 20 meeting. Couch told Rotarians that budgetary funding cuts due to decreased revenue will affect many organizations in the area including the MOV Health Dept., Wood County Rec. and the Visitors and Convention Bureau. 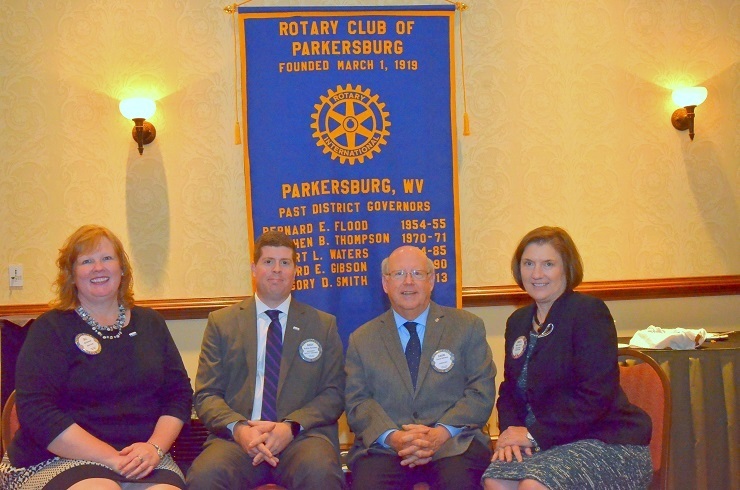 SJill Parsons, President; Andy Hartleben, President Elect; David Williams, Vice President/Program Chair; Senta Gordy, Secretary; (Club Treasurer Michelle Dailey not pictured).